Calling all bakers, breadmakers, pizzaioli, and ancient grain enthusiasts… Let’s Talk Flour. 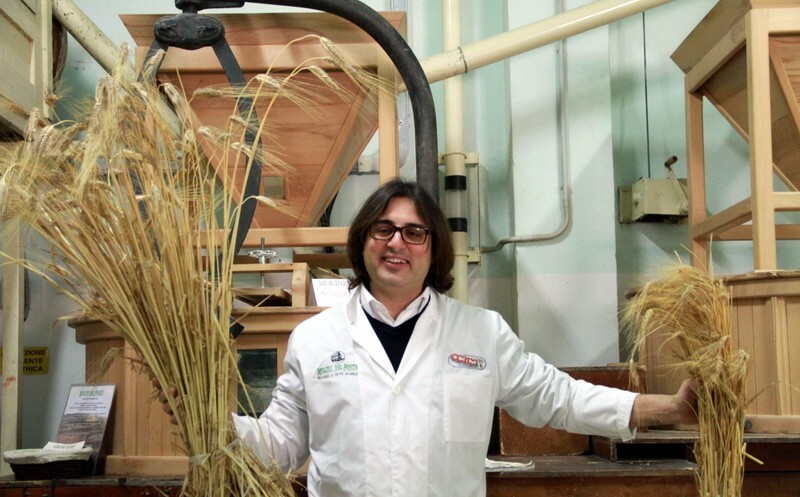 Filippo Drago’s flour is here in the USA, for its first time ever! This guy, is Filippo. You might recognize him because he makes our incredible Busiate Tumminia Pasta. Here, he is standing in front of his stone mill in Castelvetrano, Sicily. Watch this video to see Filippo in action. He works with local farmers who cultivate ancient grains and then he produces flour using his stone mill. We just received a shipment of Filippo’s Pane Nero Flour. This is the momentous flour used to make Pane Nero di Castelvetrano (stay tuned to GustiNewsletters for this bread recipe). But this flour also brings amazing flavor to just about everything! Previous Post A Taste Of Summer Just Arrived From Liguria!